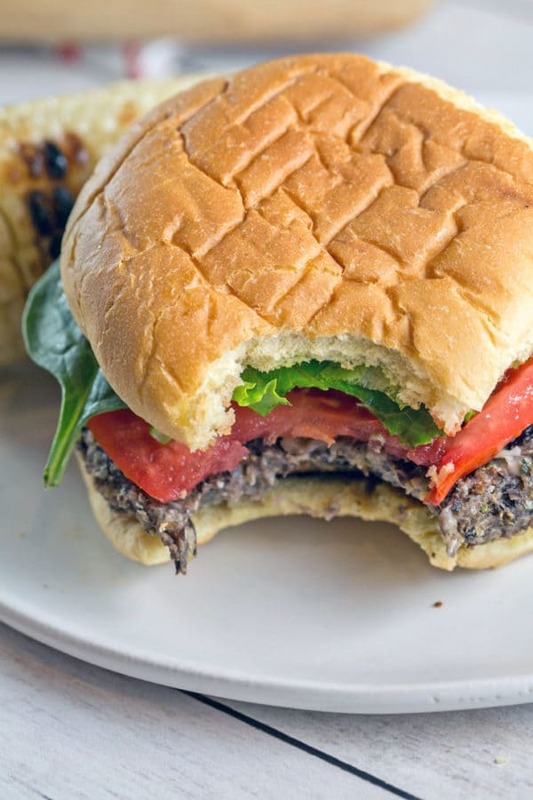 Looking for the perfect veggie burger? 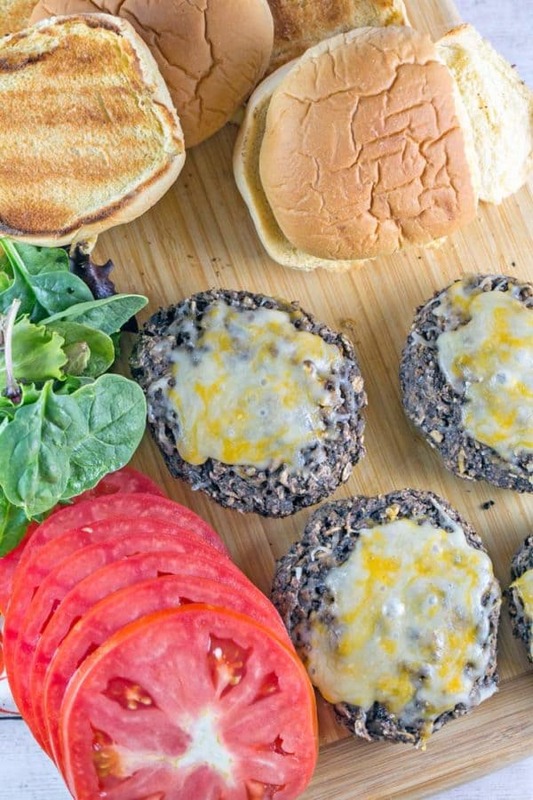 Look no further than these easy, gluten free, mushroom black bean burgers. Sturdy enough to grill but just as delicious cooked in a skillet. The food blogging calendar runs in line with the retail calendar. I totally get it. It takes some time for traction to build up for a post. Google has to index and rank the post, people have to post it on Pinterest and start sharing. 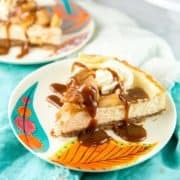 And that is why now, the second week of August, the food interwebs are flooded with fall recipes. Pumpkin and apple. Halloween. My spiral vegetable tart was just featured in a Thanksgiving side dish roundup. It’s August, and we’re already thinking about Thanksgiving? I can’t even think ahead to September. I don’t know about you, but I am just not ready for fall foods yet. It’s still 90 degrees outside, we still have fresh produce at the farmer’s market, and I’m still grilling. And seeing as how September doesn’t immediately mean cool temperatures, I don’t see this changing right away. Not to mention that I don’t pack up my grill once Labor Day hits. You’ll find me standing at my grill well until October or November. Heck, I’ve grilled in the snow before! 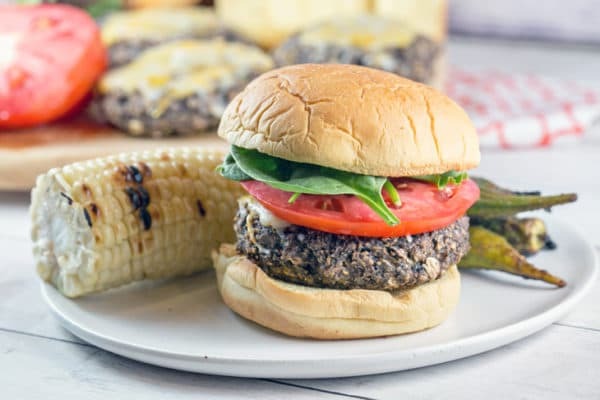 And so even though most people have moved on to pumpkin spice recipes, I’m sharing my favorite veggie burger — mushroom black bean burgers. One that I’m quite sure I’ll continue to make a few more times throughout the fall (and you can totally take it inside on a grill pan or a skillet for the rest of the year!). Here’s what I love so much about it: it’s both mushroom and black bean based. I find that a lot of mushroom burgers are a little too squishy and don’t hold up well. 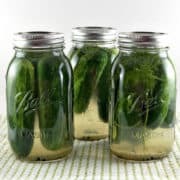 They crumble, stick to the grill, and don’t cut well into bite-size pieces for pint-sized human lunches. 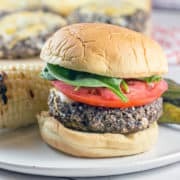 But black bean burgers can be a little bland and dry. Why not combine the two into the best veggie burger ever? Let’s do it! These are super duper easy to make. Sautee some mushrooms and garlic — congratulations! The hardest part is done. Everything else is chopped right in a food processor (or high powered blender), just until combined but still lumpy. 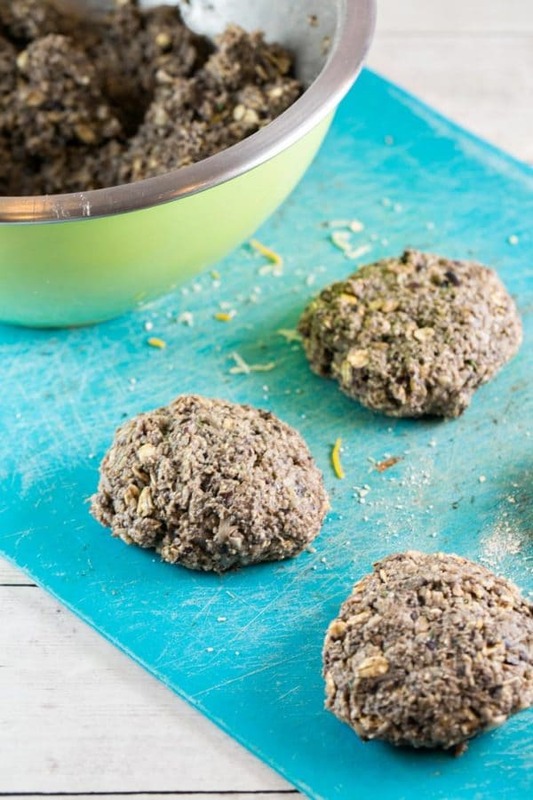 Form into burger-shaped patties and… you’re done. Toss them on the grill or cook in a skillet. Dinner is served! 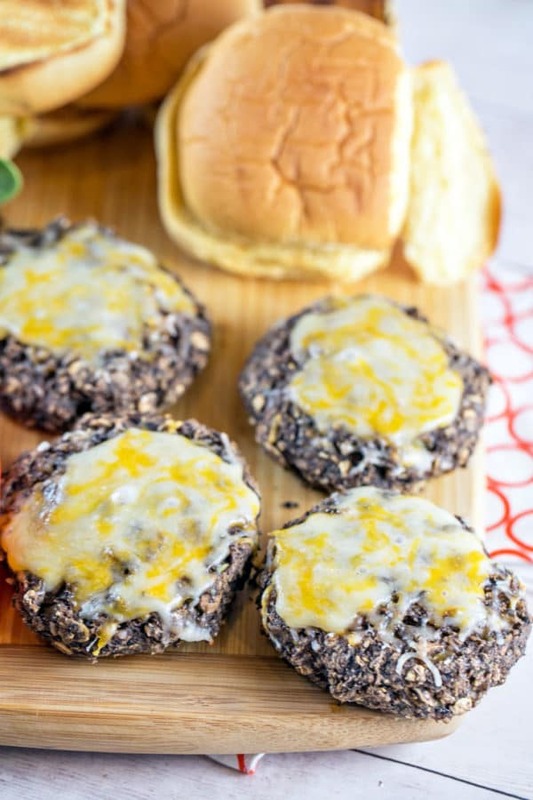 The other thing I love so much about these mushroom black bean burgers are that they’re gluten free. Oatmeal serves as the binding agent, so no bread crumbs are necessary. We’re not a gluten free household (obviously – have you seen my cakes?) but I love having some go-to recipes for friends who are. 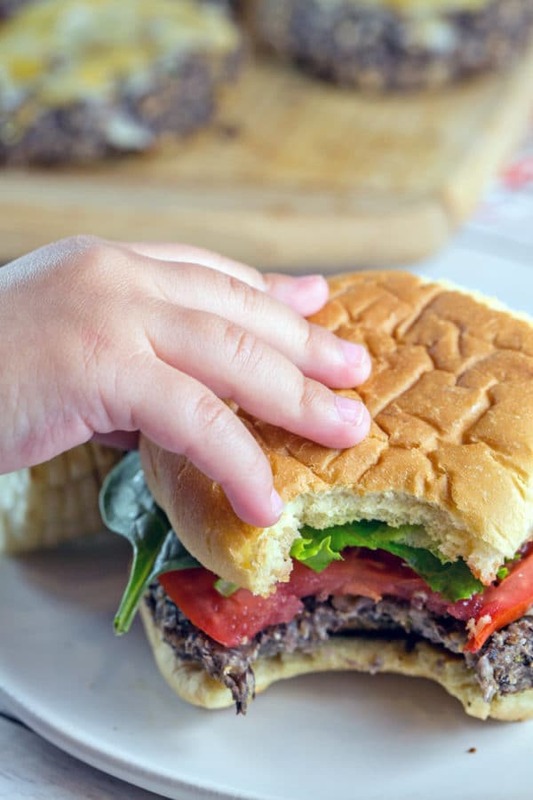 Easy and quick to make, delicious and full of protein — oh, and did I mention toddler friendly? Yep, I couldn’t even get through taking pictures without a little hand reaching out to snag a bite. Our little foodie knows what’s good. 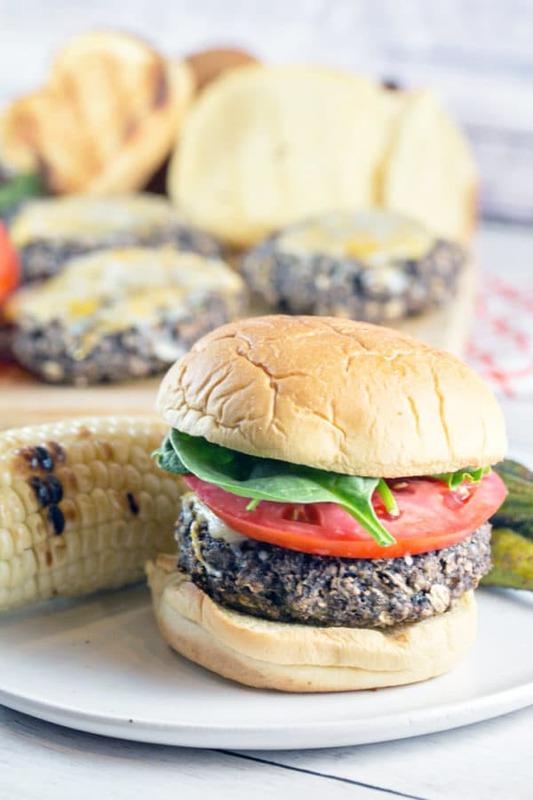 Looking for the perfect veggie burger? Sturdy enough to grill or cook in a skillet! desired toppings: hamburger buns, lettuce, tomato, onion, ketchup, additional cheese, etc. Melt the butter in a large skillet over medium-high heat. Add the garlic and sautee, stirring constantly, until fragrant, about 30 seconds. Add the mushrooms and cook, stirring occasionally, until the mushrooms have released their juice and cooked down, 8-10 minutes. Remove from heat. 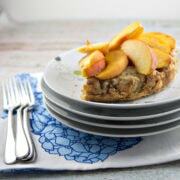 Using a food processor or high powered blender, pulse the oats until finely ground. Add in the mushroom mixture, black beans, salt, thyme, and rosemary. Pulse in 1 second bursts until the mushrooms and beans are finely chopped, but not yet a paste. Transfer mushroom bean mixture to a bowl and fold in the egg and shredded cheddar. Form into 6 rounded patties. Cook as desired, either on a grill or in a skillet, turning once until evenly browned and cooked through. Top with additional cheese, if desired, and serve on toasted hamburger buns with desired toppings. Oh yes please. A great vegetarian option when one feels like a burger. Love those meaty ingredients. I know – August = Pumpkin. Who would have thought? I don’t do stock photography but apparently now is the time when people start doing christmas photo shoots… woah! That burger looks good! Healthy, delicious! I need to try these burgers. 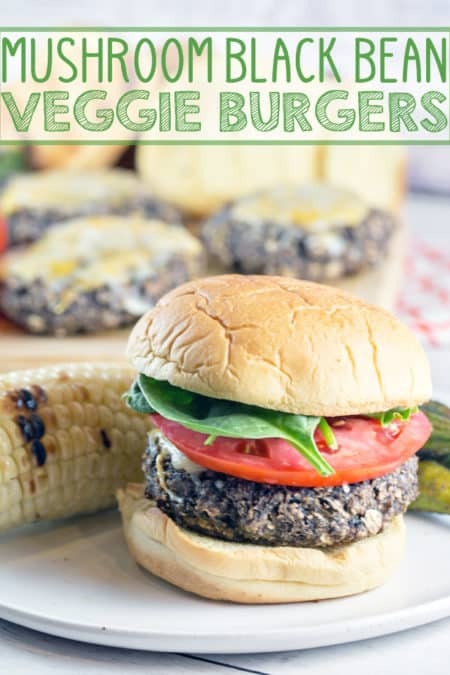 I’m always on the lookout for delicious vegetarian patties recipes. Hi Molly – I haven’t tried it with others since cremini are plentiful here, but I can’t think of a reason why regular white mushrooms wouldn’t work in their place!